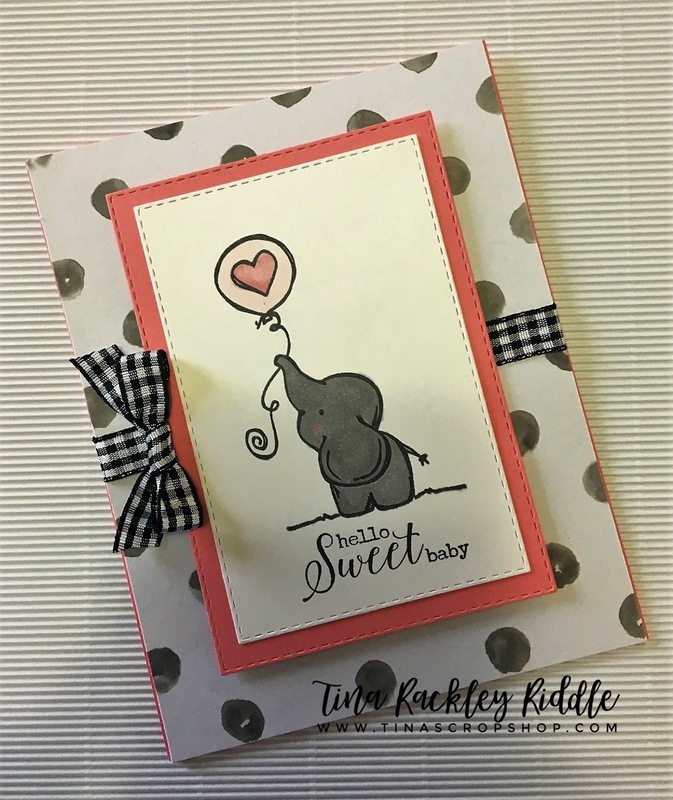 Tina's Crop Shop: SIP #184 - Something For Baby - Unity Stamp Co. Sweet Elle! SIP #184 - Something For Baby - Unity Stamp Co. Sweet Elle! Hello and Happy Tuesday! 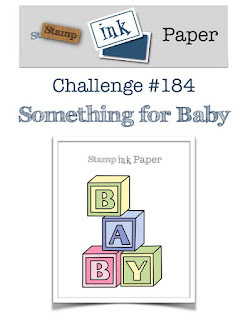 It's time for another Stamp, Ink, Paper Challenge and this week is all about babies. Hope you'll check it out and join us! When I first saw this week's challenge, I was a little stressed, as I didn't think I had one baby stamp set that was current. I then remembered an adorable Unity Stamp Co Itty Bitty that would work perfectly! This is why I love those little stamp sets. They are often just what I need! This was such a fusion of products! I used the Unity Stamp Co. "Sweet Elle" Stamp Set, Stampin' Up! Pink Flamingo and Whisper White Cardstock and Stitched Rectanges, Altenew Patterned Paper, and Fun Stamper's Journey Black and White Gingham Ribbon. How is that for a collection to supplies? ?